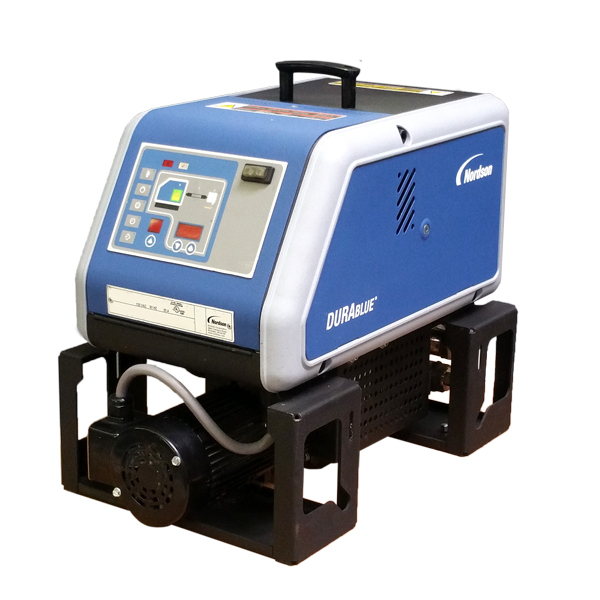 Nordson® DuraBlue melters feature fixed-speed AC motors with gerotor gear pumps for easy-to-operate, low-maintenance hot melt adhesive application. A Teflon® coated tube tank eliminates dead corners and minimizes adhesive char. The versatile contorl panel offers a choie of programming methods using either a keypad or arrow keys. DuraBlue L has no serial port for uploading /downloading software or information. DuraBlue L has no password protection feature. Contact Astro Packaging to speak with a Nordson® factory trained technician to determine which DuraBlue melter is right for your application.